* Twenty-two of the best flying saucer cases. * Celebrities and flying saucers. I have included twenty-two cases for you to review. These cases are featured primarily for the large number of eyewitnesses involved or the magnitude of the event. In some cases I personally know the individuals involved. Cases where alien beings were seen or interacted with also get a priority. I was more inclined to include cases in which additional information is available. In each of the cases in this section, specific individual details may vary from other versions you might have heard. Many of these cases are so well known that different versions develop as a result of the constant retelling of them by different people. In every case I have attempted to come up with the best factual account of each case. If I wasn't able to confirm something, it is noted. The important thing is this: In each of the cases featured here there is absolutely no doubt, and it is irrefutable, that something extraordinary did occur. You will find many cases challenging your concept of reality. Some of the cases appear in other sections of this website and my book, as well as in this section of the website. The twenty-two cases here are by no means all the well-documented sightings or encounters, just the ones I personally like the most or feel are important. 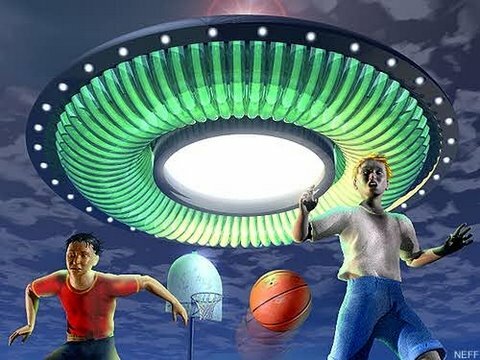 Contactee cases are cases where individuals have been contacted by alien beings. Contactee cases are just as real as plain sightings of craft. For most people there seems to be a two or three step process. First, the person has to get used to the fact that flying saucers are real. When she (or he) accept this, then she has difficulty envisioning the fact that there are "people" aboard these craft. She first tends to view the craft as clouds or inert unguided objects. Even some UFO researchers have a difficult time making the transition and accepting the idea of UFOs as occupied vehicles. So take your time. There is no need for you to hurry to integrate this concept. But rest assured: These craft contain beings, the beings are real, and they are contacting and interacting with humans all over this planet in great numbers. Any anomalous light(s) seen in the night sky whose description rules out the possibility of aircraft lights, stars, meteors, and the like. Seen in the distant daytime sky. The UFOs classified in this category can be other shapes as well, like cigars, eggs, and ovals. Where UFOs are tracked on radar and can be seen at the place illustrated at the same time. A good example would be a disk-shaped object going nine thousand miles per hour and showing up on radar in 1950 when the world speed record was only 650 miles per hour. A UFO in close proximity (within approximately 500 feet) of the witness. A UFO that leaves markings on the ground, causes burns or paralysis to humans, frightens animals, or interferes with car engines or TV and radio reception. These include alien abduction cases. Where communication occurs between a human and an alien being.